Mayerthorpe High School uses Remind to help parents remember important school events or to relay time-sensitive information. It is free to subscribe! To connect your cell phone to Remind, simply text @19a34 to (819) 805-0150. To join be email http://remind.com/join/19a34. number will not be shared with the teacher or anyone else in the class. 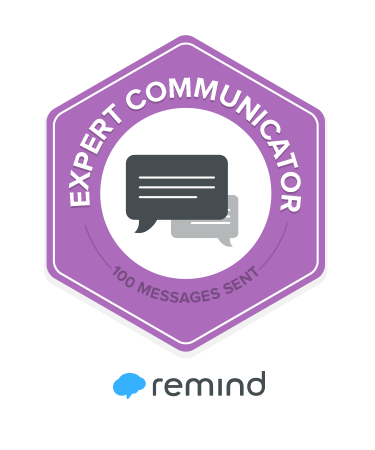 We have just received our first badge for sending 100 message through Remind!